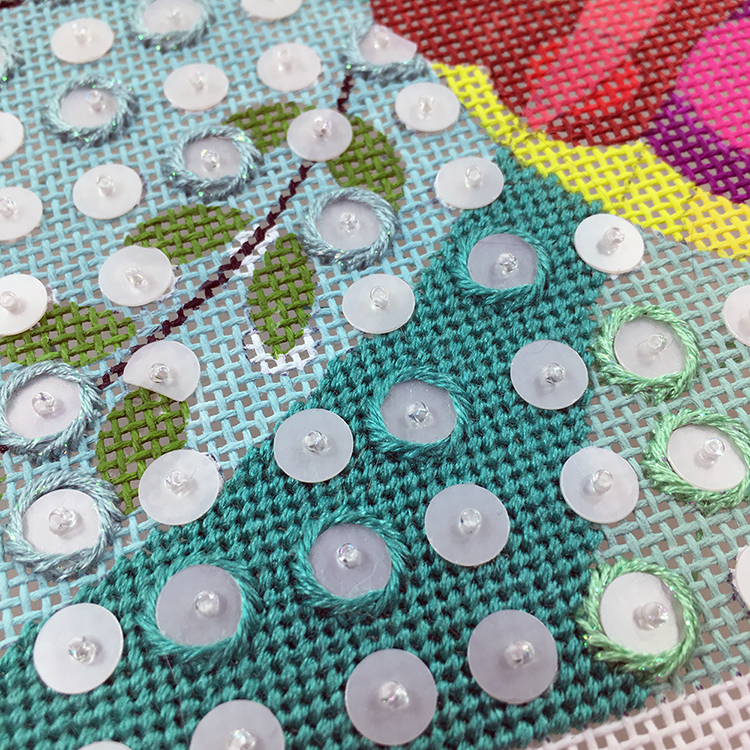 It’s true, I’m head over heels dottie for this canvas. I love polka dots. Big dots, little dots, in-between dots. 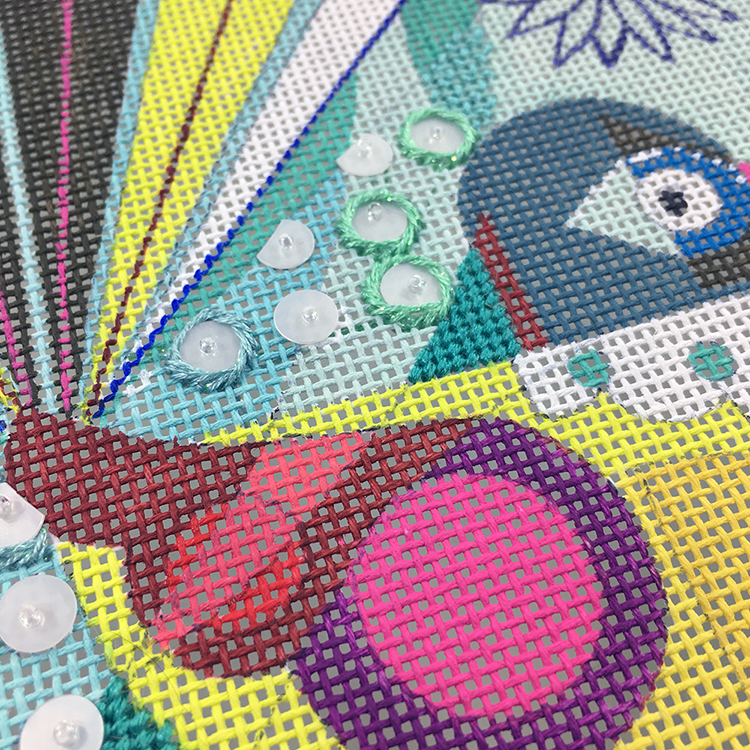 This canvas has dots galore! Fantail by ellen giggenbach is our current mystery class and it’s so much fun. So, what to do with all the dots? 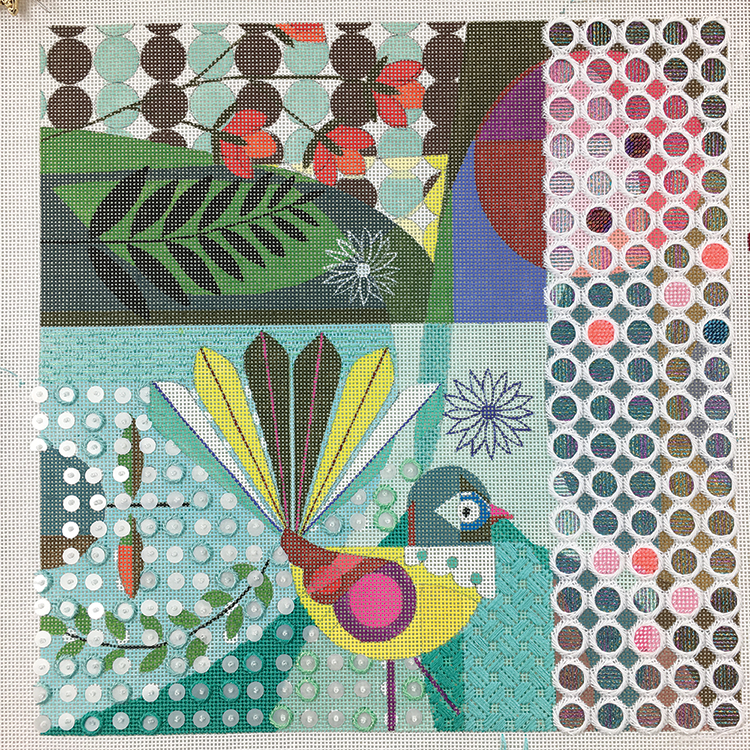 Today’s class focused on the pattern of small white dots in the lower left corner. They are sequins!!! Yay for sequins! I love sequins too. If you look closely you will see that some of the sequins are framed with Jessicas. I couldn’t resist. They asked to be dressed up. 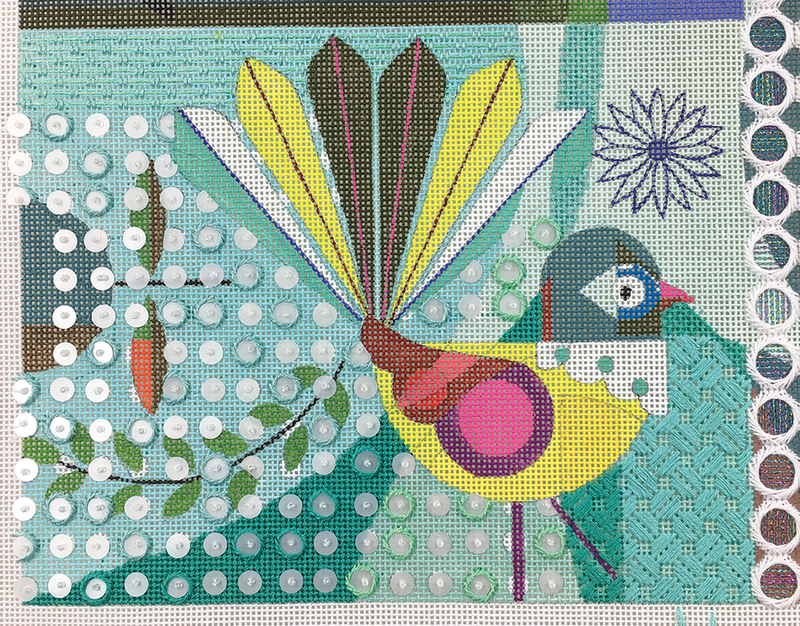 More round stitches were added to the right of the bird. 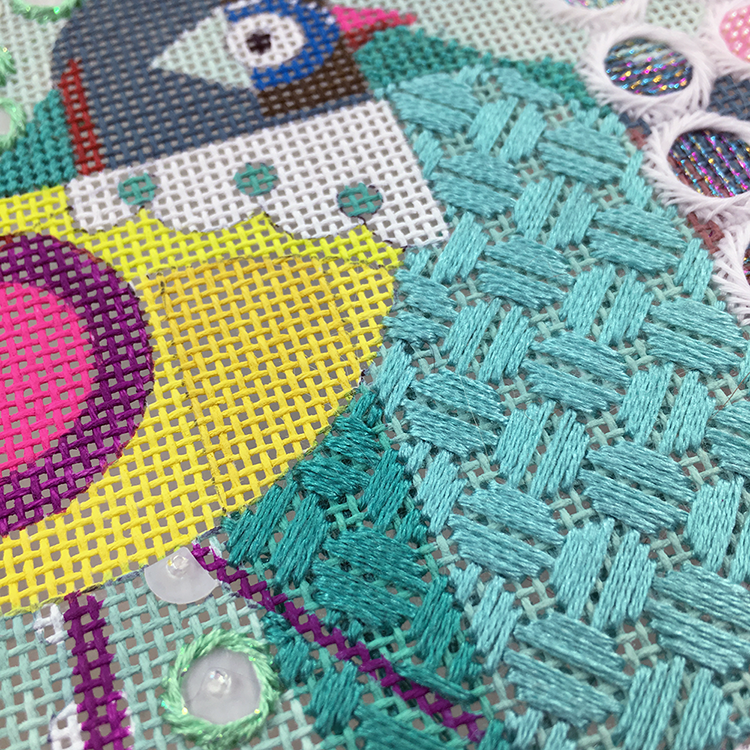 How many different ways can we stitch a circle, or a pattern of circles? Just to change things up I added a Laid Filling Stitch to the top of the area. That stitches really quick! I’m pleased with how it is coming together. Stay tuned for another lesson in two weeks. If you haven’t yet joined the Fantail party, it’s not too late. We have canvases in stock and can get one on it’s way asap. Click on the link to order, or give us a call at 410.296.0405. What fun! I am enjoying watching the progress of this one! Sequins are a great idea! I didn’t realize how many circles there are in this piece. 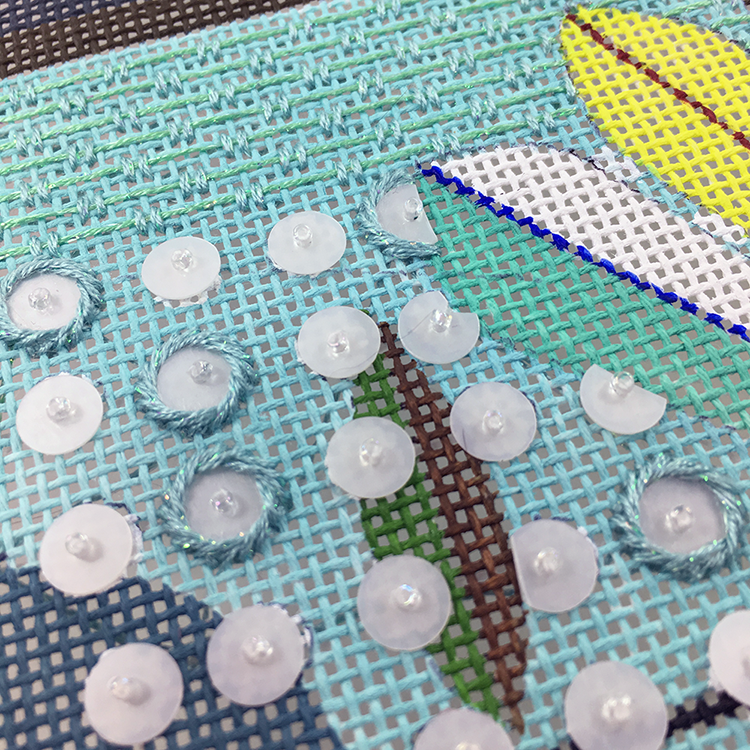 And I like the way you are incorporating “round” stitches into the other parts of the design as well. You’re so clever!